The late Ladylike RP, was sired by Walzertakt and out of the great-producing mare, Larisa TOF. 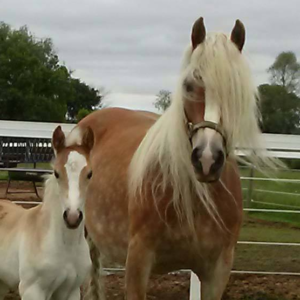 Larisa TOF is sired by the former World Champion Stallion, Amadeus, is considered one of the most influential stallions ever within the haflinger breed. She is out of the Austrian mare, Lanette. Larisa was imported from Austria by Tudor Oaks Farm. 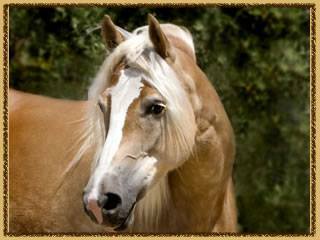 She has been a proven broodmare that has produced numerous show and Futurity champions, including many AHR Silver Classified daughters. 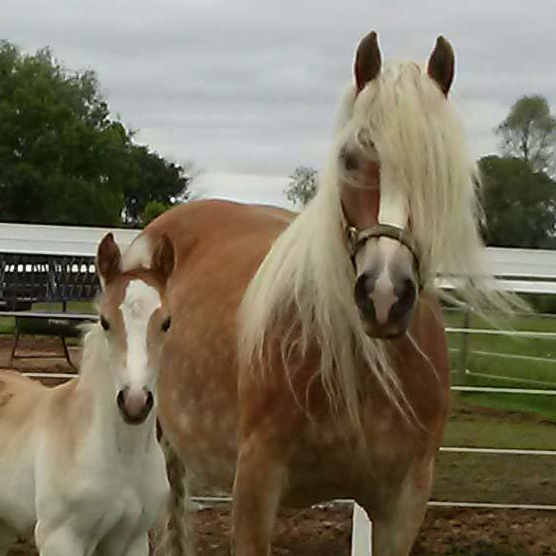 This mare line offers lots of athleticism with smooth bones with perhaps most importantly long necks, which is a rare attribute among haflingers here in the United States. As a weanling, Ladylike was the 1st place Senior Weanling Filly at the AHR Futurity and went on to be named Senior Weanling Champion. She then was named the SIP Champion, beating all of the other foals that attended the show. 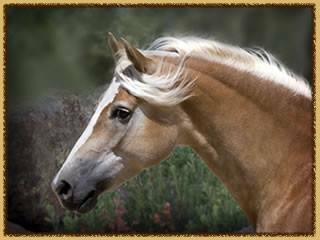 At the 2005 AHR Futurity, she was the 1st place 2-year-old Filly and the Reserve Champion 2-year-old. She also took 1st place in the 2-year-old driving class. That same year, at the GLHA Futurity, she was the 2nd place 2-year-old and won the 2-year-old driving class as well. 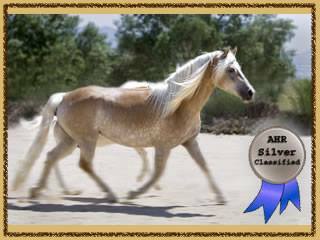 She was AHR Silver classified in 2005 with 79 points, earning a ‘9’ in Type. Ladylike was a very forward and confident mare with a high wither and long swooping shoulder and a beautiful long and arched neck. Her powerful hip and strong loin created a mare that had excessive power and exceptional, smooth movement.